Data encryption USB - CIU Co., Ltd.
Unplug CKY-01to encrypt files and hide the Safebox automatically. Plug CKY-01 to access your files. •Flexible Safebox created in each disk drive and the safebox size based on disk space. External hard drives, flash drives, memory cards. 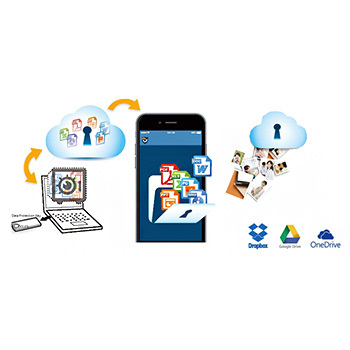 Major Cloud Drives -Dropbox, Google Drive, OneDrive. •Mobile Unlock enables you to open Safebox without CKY-01 and its password. Convenience USB plug only No protection f already logged in Must be done manually, and password is not enough safe.